This is certainly a terrible time to be talking about diplomacy and intelligence, which almost seems an oxymoron given what has been going on with Trump and his “very, very large brain”, such as his dealings with China, Russia, Iran, North Korea and Canada, looking on friends as foes and foes as friends and the entire existing multilateral system as something to distrust and tear down. 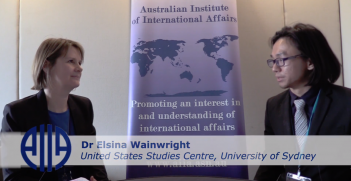 His recent speech to the United Nations General Assembly caused such concern that the French Foreign Minister, in a speech at Harvard, has proposed a “coalition of the willing”, in which he included Australia, to preserve multilateral diplomacy and institutions. Henry Kissinger once said that diplomacy isn’t like engineering – solving problems as they present themselves, moving on to the next one – but more like gardening: cultivating relationships not just for their own sake, but so they can be called upon when you need them. Diplomacy is not like business either. In business, if a deal or a scheme doesn’t come off you can walk away, forget the other company and have nothing more to do with it. But countries don’t disappear – they’re always still there to deal with the next morning. As to who does diplomacy, clearly Department of Foreign Affairs and Trade officials play a major role. But it is worth noting that now, more so than in the past, many functions of government have an important international aspect, and therefore many departments and agencies contain what are in effect “foreign affairs cells” from which personnel may be posted to relevant Embassies and High Commissions. Indeed, very large overseas missions such as Washington, Tokyo, Jakarta and London are more like “the whole of government writ large” than more “classical” diplomatic posts. To carry out state-to-state relations well, the first requirement is thorough knowledge of your own country and its interests, priorities and policies: what it is trying to achieve in a particular country or situation. The second is knowledge of the country in which you are posted. Sound historical and geographical knowledge can be a great help to understanding and interpretation. And sometimes one realises the effect that a particular past event or turning point had and still has on influential people’s stances and attitudes to each other. The third prerequisite is empathy. Understanding what makes another country tick is not the only task of a diplomat or diplomacy, but it’s a very important part of it. You need to be able to see why a government is doing what it is, taking the stances it is and thinking as it does. That doesn’t mean you support those things or agree with them. But without that understanding, it’s very difficult to engage effectively. In my own experience of a diplomatic career, I found it both interesting, enjoyable and challenging. Living in other countries – with access to the local communities – for extended periods is a privilege. You can meet memorable people and make friendships – famously perhaps particularly at one’s first post – that can last a lifetime. The work varies enormously. At different posts and at different times, I was responsible for aid work, economic reporting, political reporting, trade relations and general representational activity. 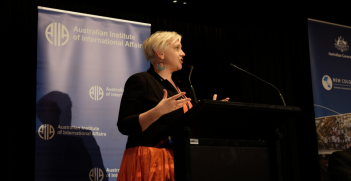 And of course work done overseas is only part of the picture: policy and assessment work in Canberra can be equally or more compelling and important. The work itself is challenging, and engaging with other nations, cultures, mind-sets, ways of doing things, governments and bureaucracies adds an extra dimension. For example, in the 1980s I had a term as Ambassador in Tokyo, at a time when Japan was at the height of its climb and courted by all. Our national interests were fully engaged – particularly in regard to our mineral and agricultural exports and Japanese investment in Australia – at a time of recession at home. I felt that our Embassy could keep up with the Japanese and our rivals (which included the United States) if we were at the very top of our game – but we had to be at, and maintain, that level of performance. I’ve spoken so far exclusively about diplomacy, not intelligence, since as I said I spent most of my time in the former. But I also spent six years in intelligence assessment and management at the Office of National Assessments (ONA), which has recently been the subject of a major review, as a result of which it will approximately double in size. Intelligence is of course distinct from both diplomacy and foreign policy; its aim is to assist both by reducing uncertainty as much as possible. I’d like to mention just one area which has developed enormously in recent years, and that is the world of cyber. In my time as Director-General of ONA, signals intelligence essentially involved the interception of electronic signals and defending against that. But now, in the world of computers and the Internet, data and digitalisation, cyber activity can do much more: stealing data, planting false data, influencing opinion and even shutting down critical infrastructure, as the Russians have reportedly done to smaller neighbours such as the Ukraine and Estonia. This is done on a transnational basis, leaving no physical traces. It’s certainly not diplomacy! It can be a means of collecting intelligence, including commercial and economic intelligence. Some say it’s already a means of economic warfare. It clearly could be at the very least an important adjunct to physical warfare. Whatever the words we use to talk about it, it is clearly a very important non-traditional element on the international scene, and one which, because of its opaque nature, is particularly difficult to manage. It’s a world of covert actions, accusations and assertions of guilt and responsibility that can have very considerable impact and consequences, but very little proof or evidence in the public domain. There may well be proof that’s available to governments. But in the absence of public evidence, it’s hard for the layman to know what to make of statements we’ve been hearing lately, such as that China’s cyber-meddling dwarfs Russian, or that North Korea has launched major state-sponsored attacks on banks and financial institutions in a range of Asian countries. Such statements could be seen as requiring a serious response, possibly physical, or ‘kinetic’. But how are we to evaluate them, and put them in the proper perspective and proportion? Cyber may well be the 5th arena for possible conflict, together with land, sea, air and space, but as I said it’s a particularly opaque one. It even, according to Lucas Kello of Oxford University, leaves us in an uneasy position of “unpeace”: a “mid-spectrum rivalry lying below the physically destructive threshold of interstate violence, but whose harmful effects far surpass the tolerable level of peacetime competition.” The cyber realm will clearly demand more and more thought from governments in the future. 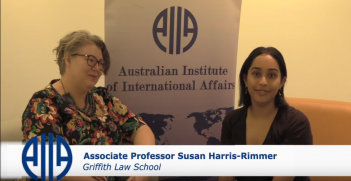 Geoffrey Miller AO FAIIA is a former Australian diplomat and government official with postings to Kuala Lumpur, Jakarta, New Delhi and the United Nations in New York and as ambassador to Korea and Japan. 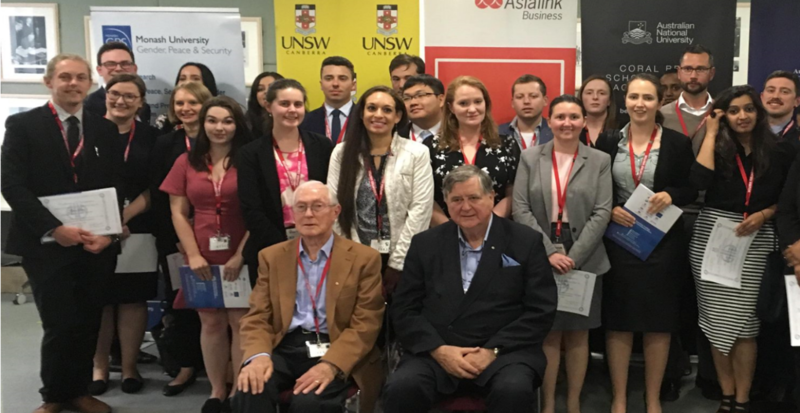 He spoke at the AIIA 2018 National Conference Masterclass on ‘Intelligence and Diplomacy’ on 14 October. Defending the rules-based order requires identifying which rules we need to defend. Distinguishing the law of the sea from territorial sovereignty is a good place to start.